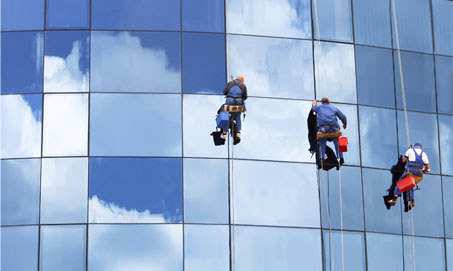 Grevitt’s Specialist Cleaning Services has built their highly regarded reputation on their ability to provide high standards of window cleaning services. 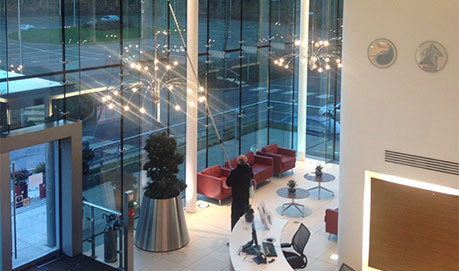 We specialise in cleaning interior and exterior windows, as well as any glazed surface including skylights, glass atriums, glass balconies and partitions. 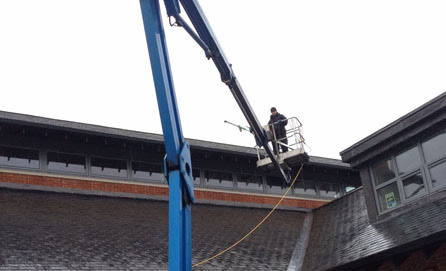 The Reach and Wash system, with its lightweight extending poles, is capable of reaching up to 53ft meaning work can be carried out safely from ground level without the need for ladders or platforms. We are able to easily reach over lawns and flower beds reducing any unnecessary disturbance to your landscape. 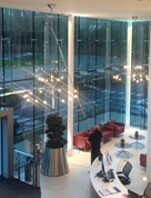 The pole system enables a much more efficient and cost effective window cleaning service. Using only purified water, it actively absorbs all chemicals and minerals, leaving a streak and spot free finish after final rinse. It is environmentally-friendly, using no detergents or harmful chemicals, only 100% deionised water fed from our onboard water tanks. 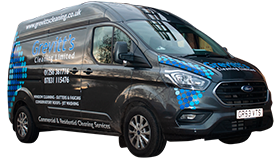 For interior cleaning such as windows, glass panelling and stairways, we prefer to use the conventional method of an applicator and squeegee, cleaning all sills and frames at the same time. 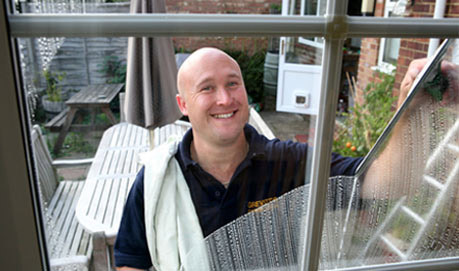 We would welcome the opportunity to clean your premises. 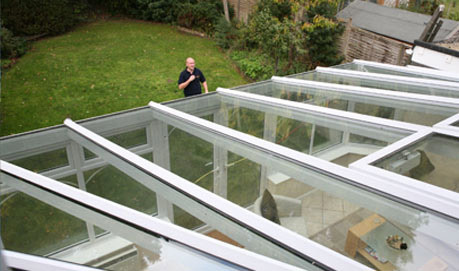 Please call us today on 07831 115476 for a free no obligation quote.